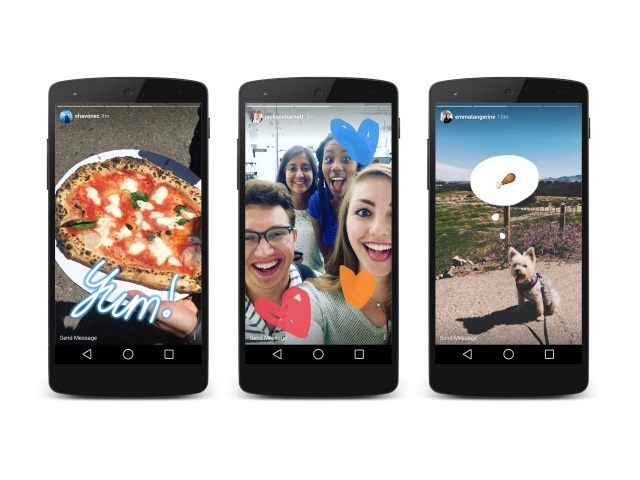 Instagram Stories: A Taste of Snapchat? Instagram took a page out of the Snapchat handbook with its announcement of Instagram Stories, which consolidates all of the day’s posts for users. In another nod to Snapchat, photos and videos that users include in their Instagram Stories disappear after 24 hours and don’t appear on their profiles or in the Instagram feed, and reactions and comments remain private. You’ll see stories from people you follow in a bar at the top of your feed—from your best friends to your favorite popular accounts. When there’s something new to see, their profile photo will have a colorful ring around it. Instagram parent Facebook also tested a feature that resembled Snapchat Stories, Quick Updates, but the social network said it had no plans to roll that feature out. Readers: What are your initial impressions of Instagram Stories?